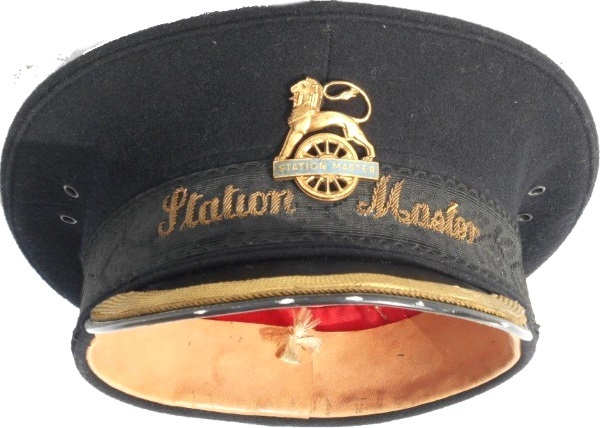 Lot 32 STATION MASTER'S HAT. Complete with "LION OVER WHEEL". Gilt Cap Badge. In Superb Condition.